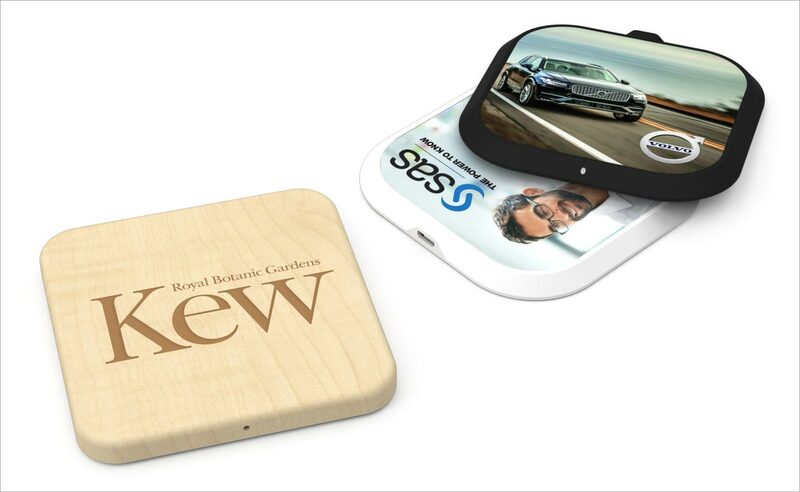 We are delighted to announce the launch of the Aero and the Forest Inductive Chargers, as we continue to enhance our Power product range with the latest innovative promotional technology on the market. The Forest features a beautiful FSC® certified European Maple Wood surface to Screen Print or Laser Engrave with your logo, whilst the Aero’s plastic surface can be Photo Printed. Compatible with Qi-enabled devices, otherwise known as Wireless Charging devices, the Forest and Aero truly stand out from the crowd at Meetings, Conferences and Events. Both Inductive Chargers come with a micro-USB charging cable, a user manual inside a white card box. If you are interested in either Inductive Charger, or indeed any of our other products, please fill out this Quick Quote Form and a dedicated Sales Account Manager will be in touch shortly.